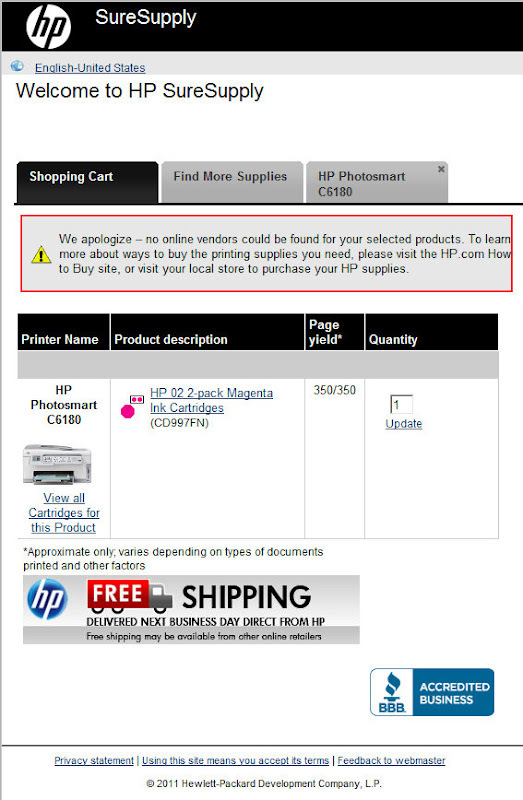 I went to HP.com to order printer supplies direct from HP. This HP.com web site told me "Ordering ink and toner has never been so simple, efficient and fast." I added a product presented to me by this HP.com web site to an HP.com web site shopping cart. However, now this HP.com web site tells me it can't find any vendors for the product it offered to me on this HP.com web site, and tells me I should visit HP.com. I think I'll go to a local store and buy a different printer -- one without an HP label.